The clergy at St. John’s Cathedral in downtown Denver don’t want anyone to miss out on a sermon. For that reason, the church is taking steps to make it easier for congregants with hearing loss to listen by purchasing a new system to help reduce background noise in the 107-year-old cathedral, including echos and organ notes that waft through the church. St. John’s, located at 1350 Washington St., had the new hearing loop installed this week by Denver-based Assist2Hear. The system works by transmitting an audio signal to hearing aids or headset receivers. “The hearing loop is to serve a portion of our congregation that has trouble hearing the sermons,” said Seth Reese, communications director for St. John’s. 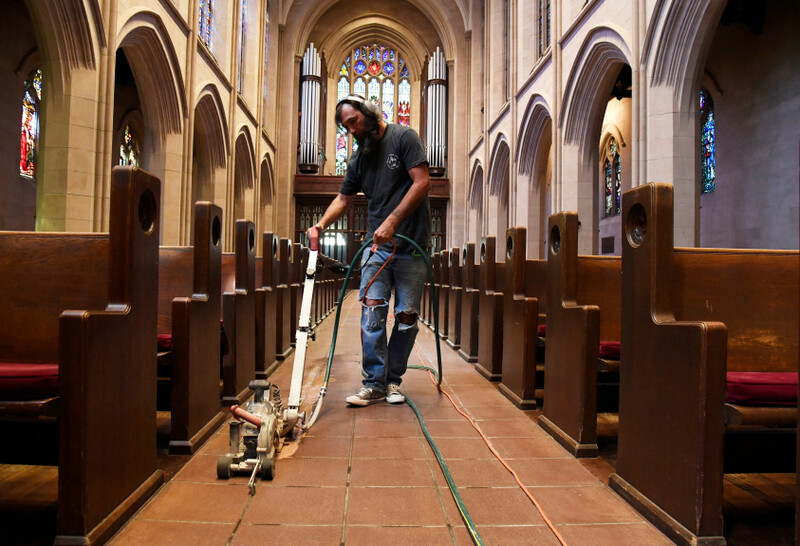 The hearing loop, which is connected to the church’s sound system with amplifiers provided by Assist2Hear, involves running about 1,200 feet of copper wire around the pews. The sound signal carried through the wire can be picked up by telecoil-enabled hearing aids or headset receivers. 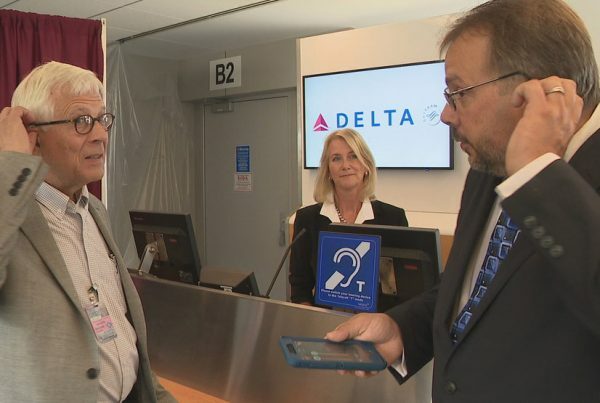 The system is designed to help individuals hear more clearly by reducing background noise, reverberation and other competing sounds, said Erin Nichols, owner of Assist2Hear. “It doesn’t call attention to their disability,” she said. Assist2Hear has installed hearing loops in other community spaces in the state, including in Colorado Springs, Longmont and Boulder. Reese said the loop not only will help elderly congregants at St. John’s, but also others with hearing loss. “One of the values we have as a church is to be welcoming and inclusive to all,” he said. Nichols declined to provide the specific price of the St. John’s Cathedral project, but said it cost several thousand dollars.